Two closely intertwined developments loom large over contemporary world politics. First, economic and military power is becoming less concentrated in the North Atlantic littoral. Second, globalization processes including changing communications technologies, production chains, and transportation vectors - lead many policymakers and analysts to search for new paradigms for understanding political power. Some speak of 'soft power' or 'network power', and suggest that the nature of power itself is changing. This presents a challenge for scholars of international relations: Our dominant frameworks for understanding the first set of processes assume historical continuity - that the same basic dynamics operate in all power transitions across time and space. The wagers that undergird the second set of processes focus, in contrast, on historical discontinuity: They anticipate that contemporary shifts in world politics may play out very differently than those of the past because the nature of power is changing. Extant theories of world politics are therefore cut off from adjudicating between these different views. Evaluating Power Political Repertoires (EPOS) aims to move beyond this impasse by advancing a systematic problem shift in how we study power politics: Rather than focusing on states' power resources and on how the systemic features of world politics condition certain types of power political behavior, EPOS focuses on the repertoires through which states engage one another. 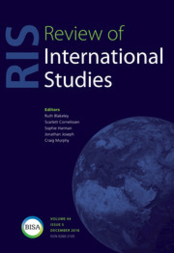 The project team draws from the well-developed analytic framework of contentious politics, but necessarily adapts it for the study of international relations. Thus, the project defines repertoires of power politics as the relatively stable array of tactics that states turn to when competing for influence. 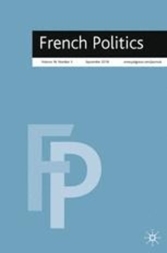 Recognizing that states pursue influence through repertoires opens up exciting avenues for understanding the dynamics of power-political competition.